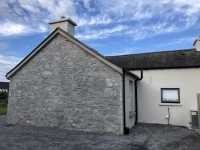 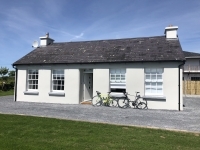 This is a traditional style Schoolhouse originally built in 1850 but fully renovated and restored in recent years. 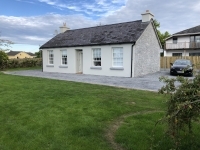 It has a long and rich history which dates right back to the Irish Famine. 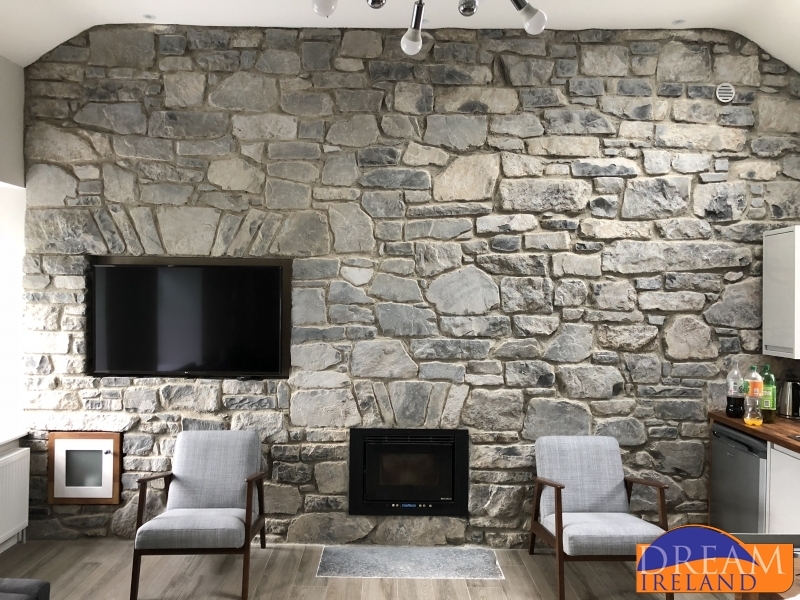 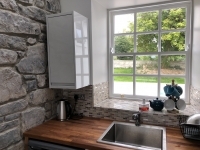 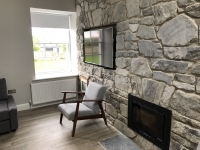 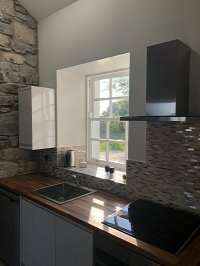 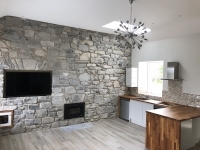 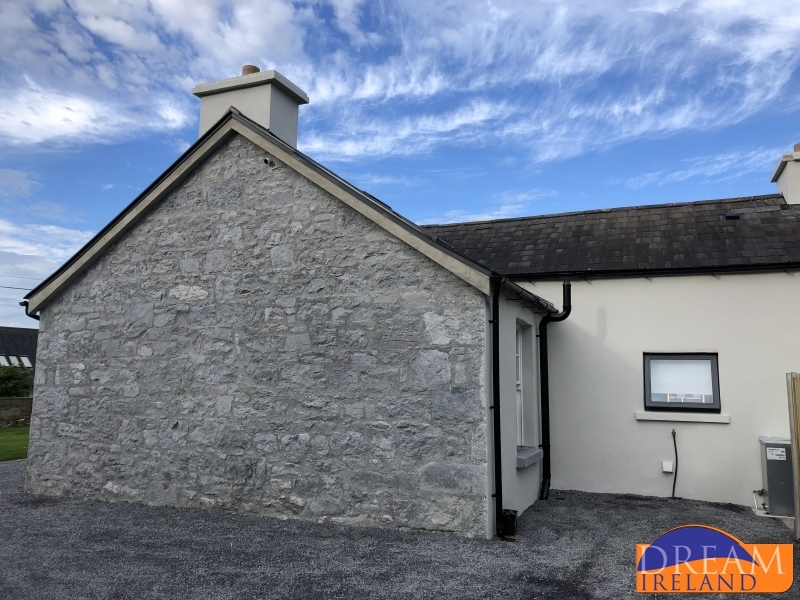 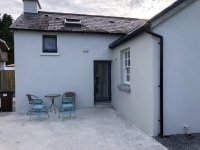 Inside the Schoolhouse are traditional stone walls and the SMART TV and stove are insets into the wall making them a striking feature of the house. 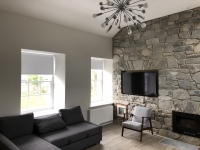 The living room and kitchen areas are open plan and manage to be both bright, yet cosy and very welcoming. 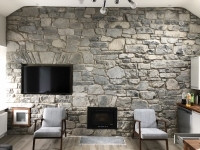 This house has been updated with fast (150mb) fiber internet ideal for entertainment or work (if really necessary!). 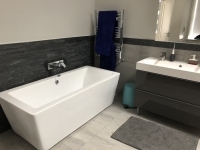 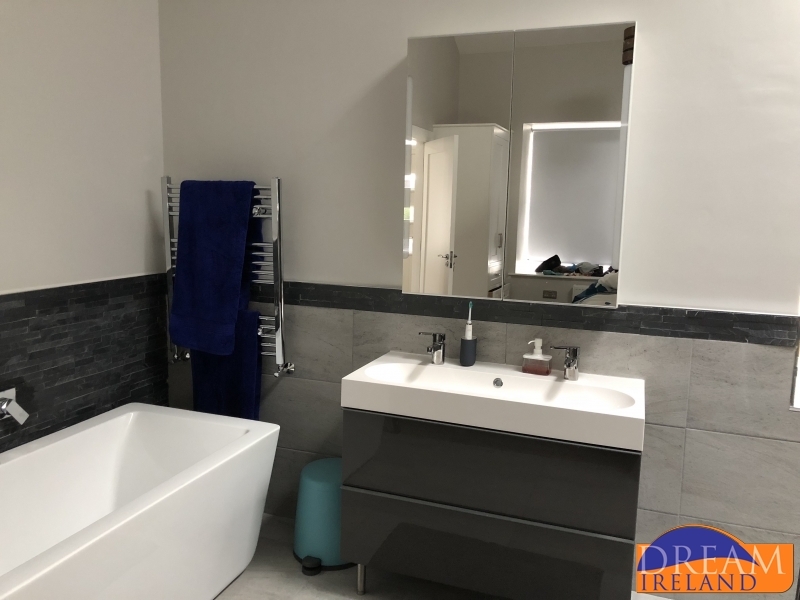 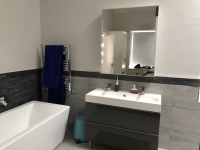 The master double bedroom is downstairs and has an open plan bathroom with double shower and stand along feature bath-tub. 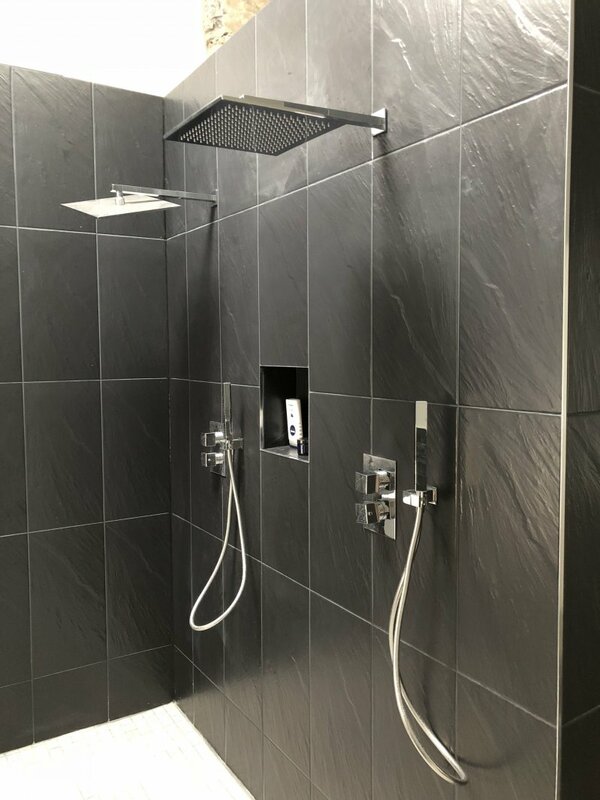 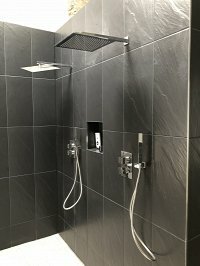 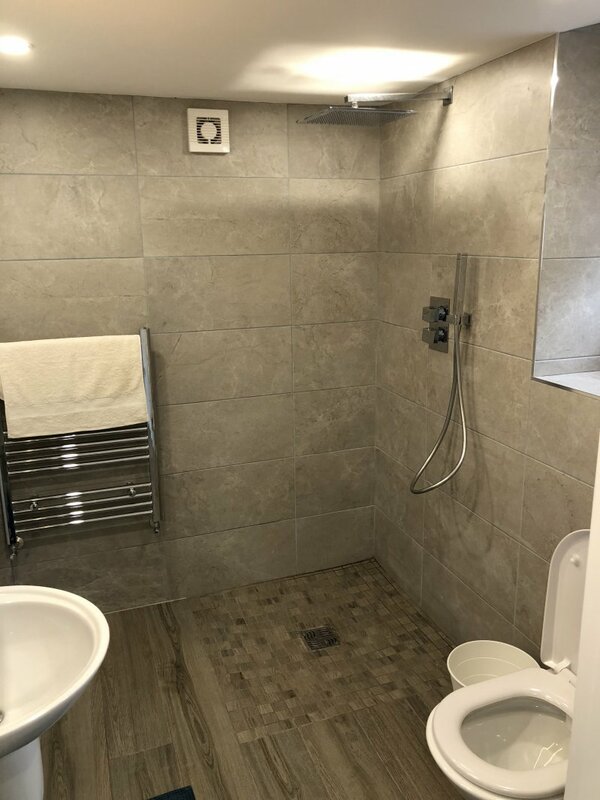 There is a second shower room downstairs too. 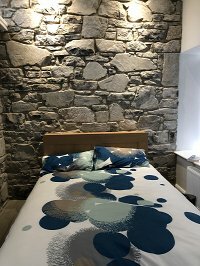 Upstairs is the 2nd bedroom which is set up as a single bedroom, however the bed can actually open up into a double bed. 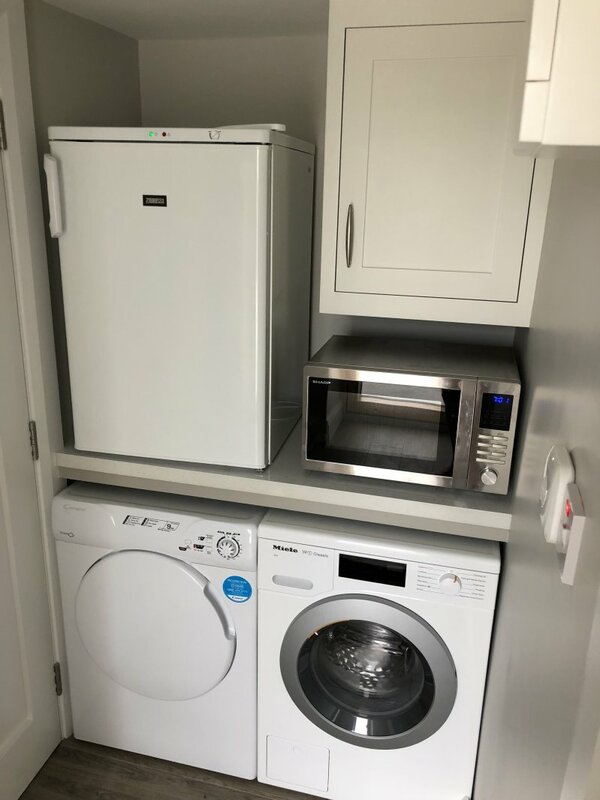 It is kept as as single most of the time purely for space-saving reasons as it is a neat little room. 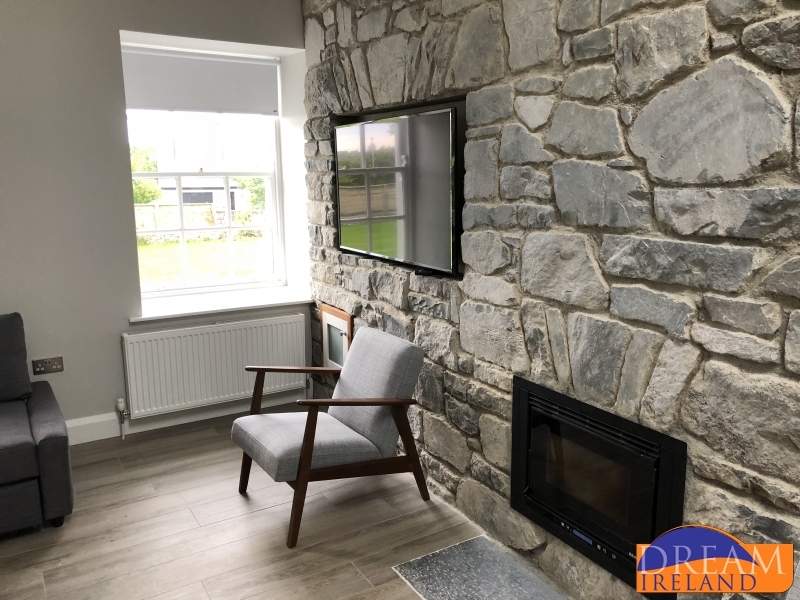 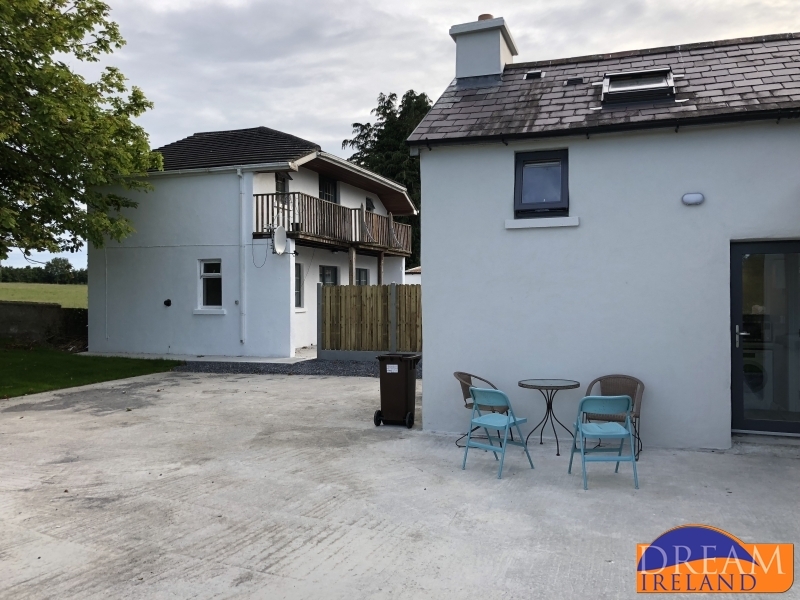 There is also a sofa bed in the living room should you need to accommodate another guest or two, but ideally, this house is most suitable for up to 4 people. 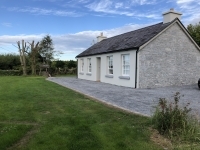 There is a garden to the front of the house along with plenty of parking. 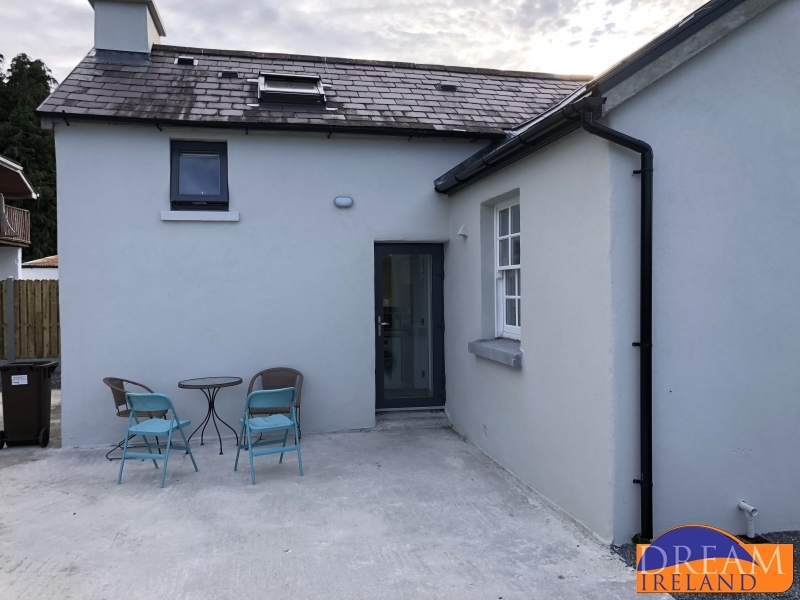 Doors from the kitchen/living area lead outside to the patio area with garden furniture. 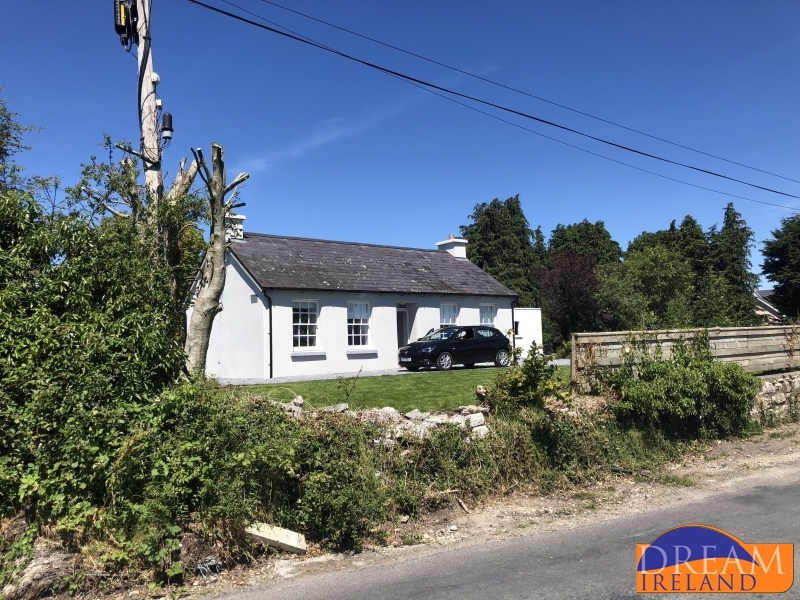 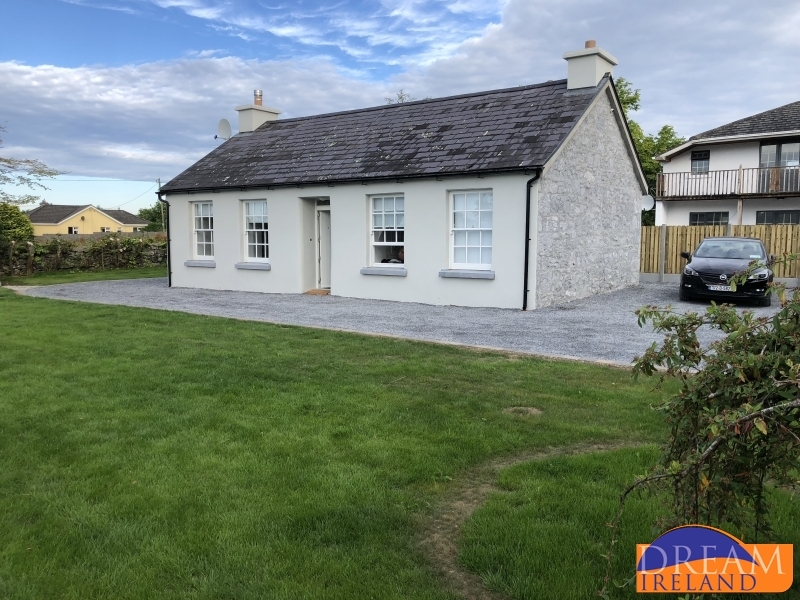 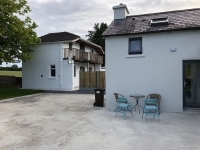 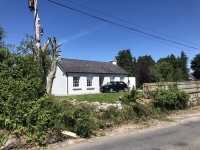 Craughwell Village is approximately 1.5 miles from the Schoolhouse - a little too far to walk to or from, so a car or bicycle would be necessary! 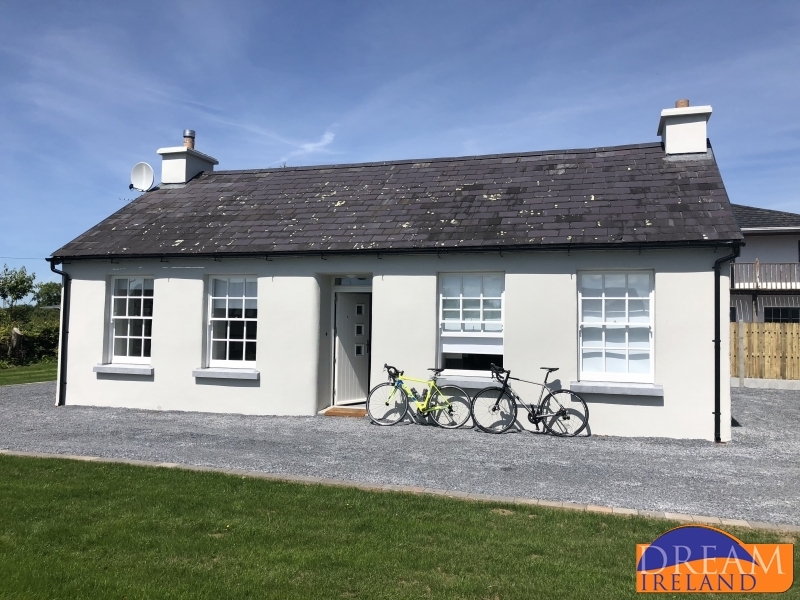 Galway City is just 20 minutes away from the house. Loughrea lake is only 10 minutes away as is the town of Athenry.